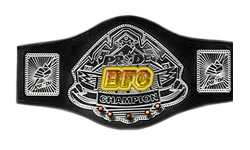 Fede - Dos Santos 3-0 defeated B_walsh_77- Brenden Scraub via KO in 2 round GF, new HW champ.!!!!! Ben Henderson - Fede loss to Evan Dunham - B_walsh_77 via TKO in 3 round !! GF and congrats new champ !!!! Anthony Pettis (MrSwagger) def. Chan Sung Jung (Animosity1oAK) via TKO in the 2nd Round. Great fight, i fucked up towards the end of that stoppage. Justin4288(overeem) defeats zackurithoff via tko in round one. Gomi (EL_TERRIBLE_0069) def. Joe Lauzon (penguinofwingo) via unanimous decision. good fight, was trying really hard to get the knockout at the end but he managed to keep his composure. Nick Diaz (EL_TERRIBLE_0069) def. Josh Koshcheck (zackruithoff) via tko 3:10 of round 2. We had to do this fight so many times. It kept disconnecting, but same results each time. I wanted the sub but had to settle for the tko. good fight. killakerve (george sotiropulos ) def un1t_666 (brian bowles) by sub triangle choke 1st rd. Carlos Condit (Arch30z) def. Martin Kampmann (Animosity1oAK) via Left Hook in the 1st Round. FEDE!!!!! YOUR STRAP IS MINE!!! IM COMIN FOR YOU!!! Oh and in the next match I TKO'd you in 41 secs lol jus sayin ! Win by KO against Lishwron. (goodridge vs. Mir) 1st round.